2cm x 1cm. 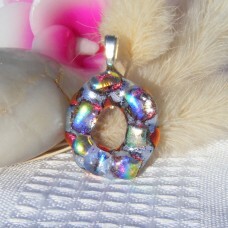 Pieces of dichroic create a circle shape and then topped with several layers of yet more dichroic both clear and textured. 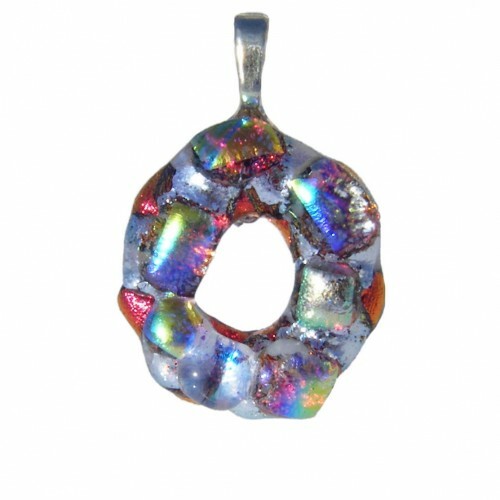 The variety of colours just shimmer in the light and also mean you can wear this piece with just about every outfit, day or night. Such a versatile piece. I hope I have presented my jewellery to you in a way that is appealing and I am sure you will be pleased with your purchase. I really cant capture the colours in the pictures so I am sure you will be pleasantly surprised to see how beautiful this is when you receive it. 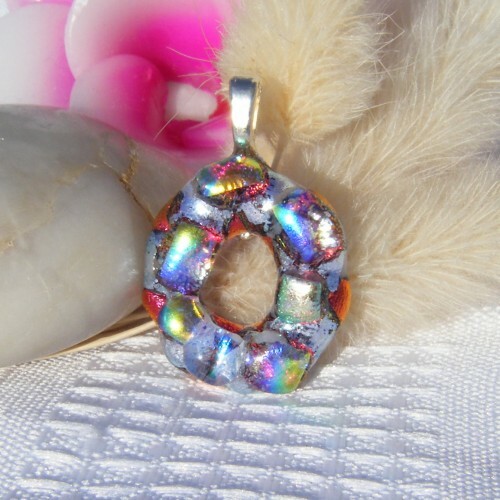 The real beauty of this piece is the dichroic is on clear glass and the colours will be different when worn with a black outfit. 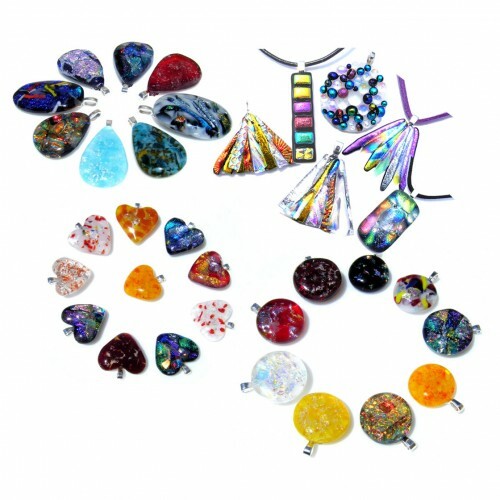 See the images in which I have tried to capture the different colours depending on the lighting and your outfit Because the glass is fused it is extremely durable and will not break if dropped. 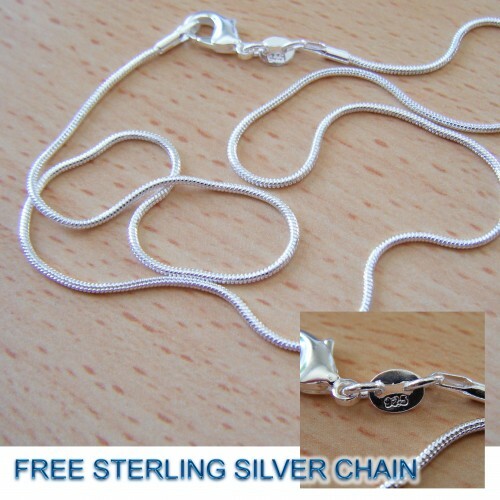 Designed to last for years and years so it is complete with a SOLID Sterling Silver 925 stamped 16" or 18" chain so the silver will not rub off and tarnish your neck. 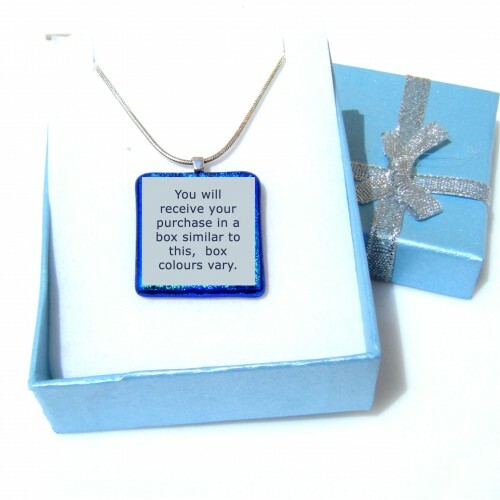 Comes in a pretty gift box.